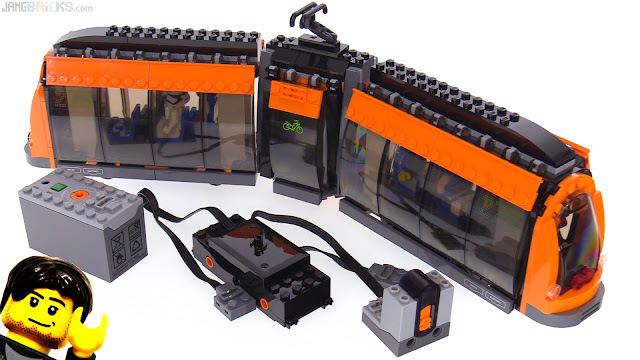 The set with this light rail tram came out in 2015 and I've kept it intact, because I rather liked its design, but I've kept it out of view because there's never been a place for it in either my current city or either of my previous ones. Thanks to the Mellemby District project, there's finally a place for this to live for awhile, and in the last update for that layout I showed it actually rolling itself around the rail loop. I'm sure this simple conversion has been done plenty of times by other people in the past three years, but a fair number of you wanted to see my version up close, so here it is (for what it's worth).